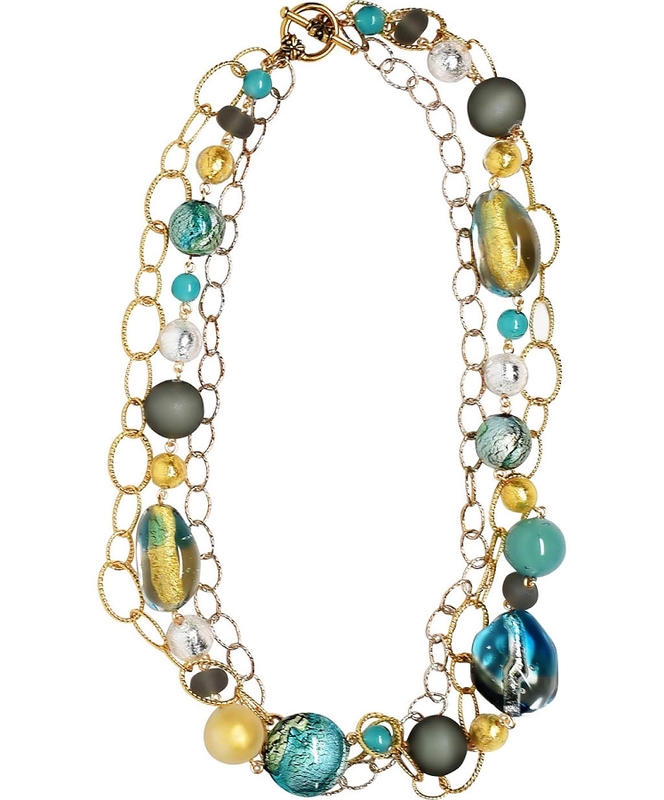 A rich abundance of authentic Murano Glass Beads each wire wrapped by hand in dazzling colors surrounded by lengths of varying size chains. The colors are classic and our use of matted and shiny color beads adds to the depth of this design. The length is 21 Inches with a large Gold Plated Pewter Clasp. As we handmake each of these, please inquire if you need a different length.